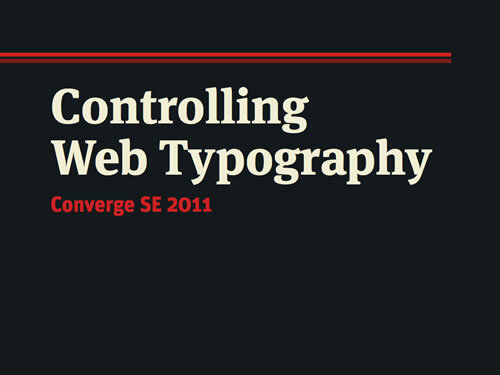 Web juggernaut Trent Walton does a great job of detailing out just exactly your possibilities with web type in his deck from the recent Converge SE 2011. Paravel‘s very own FitText, Lettering.JS and more are covered. Simple yet classy slides.